A second and in-depth visit to the Irish Museum of Transport. A lovely quiet day for a visitor - loads of time to take photographs without people getting in the way! The County Donegal railway exhibits were of particular interest - dates are a bit unclear but around 1957-59 we travelled on the Letterkenny to Strabane railway while on holiday in Letterkenny. Railway closed in 1959. Looking at the exhibits it must have been a very interesting journey. 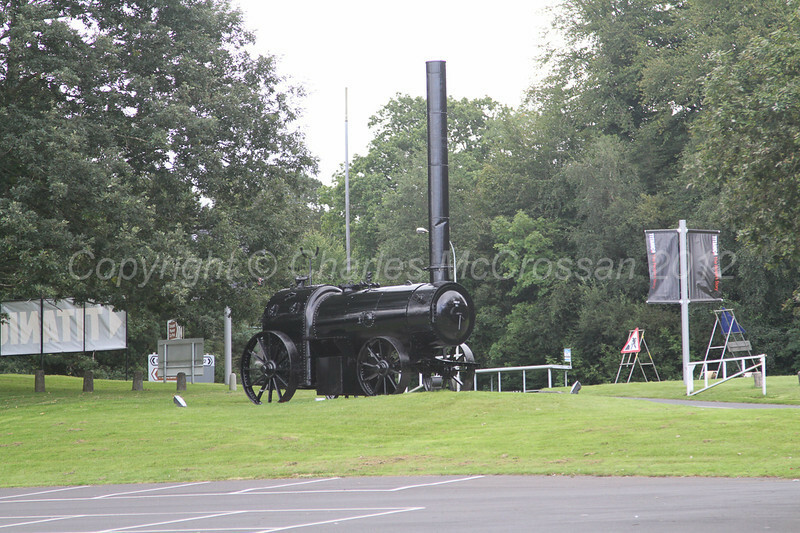 Appears to have Yard No 180 on smoke box but unable to identify subject fully - postioned at entrance to Railway Museum car park during visit in September 2012 but does not appear to be a permanent exhibit.